​Come join us and help us help the children. 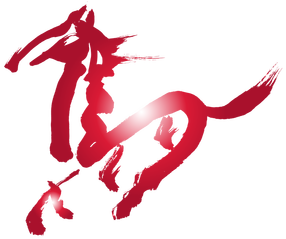 We have an exciting line up for you at the Gobi Gallop Gala, including fantastic entertainment, live music by A-Sound, excellent food and a great way to be part of the team that is changing the lives of over 400 children! All money raised will go directly to help the children and families from the Children of the Peak Sanctuary Project which includes the Children of the Peak Kindergarten and a variety of community outreach programmes designed to alleviate the suffering of families currently scavenging at the dump and empower them to be able to move toward a life that does not include subsisting on garbage. Please take a moment to check out our "Home" & "Recognition" pages to get a good look at what we do, visit our website at www.veloofoundation.com , or watch the 3 minute video below to see who you will be helping and while you're at it, take a moment to listen to the fabulous music of A-Sound , then scroll down to see what kinds of fabulous auction items we have in store for you! This amazing necklace was custom made specially for the Gobi Gallop Gala and sparkles with a 2 carat purple Sapphire, red and yellow 24 Karat gold and an almost 1 carat diamond. Proudly gleaming with the hallmark of Mongolia, the Soyombo, this hand crafted piece glitters with the joy and hope that echoes the joy of the children from the Peak. A full certificate of authenticity and professional appraisal is included with this item for the lucky auction winner . 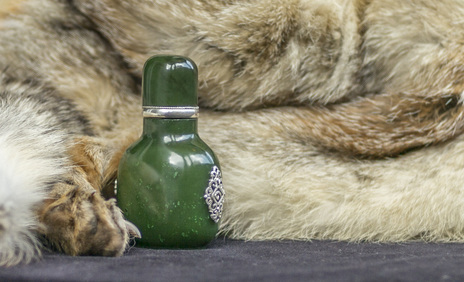 Lovingly hand carved from jade forged thousands of years ago in the heat and pressure of mountains rising out of the sea, this custom made, one of a kind snuff bottle is the apex of combining Canadian and Mongolian heritage. Brought from Julie Veloo's family Jade mine in northern British Columbia this exceptionally hard and brilliant stone contains the signature Uvarovite garnets which mark this as nephrite Jade from the McDame Jade deposit first found in the early 1970's by Julie's father Clancy Hubbell. 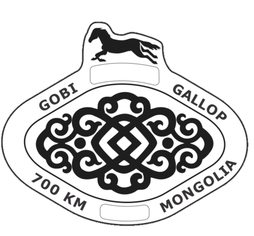 This snuff bottle marks the first time that this unique jade has been made into a Mongolian snuff bottle. Hand carved and highly polished by a master craftsman from Mongolia and decorated with Veloo Foundation logos hand hammered in solid sterling silver it carries within it the history and tradition of both Canada and Mongolia and the story of help and care for the children from the Sanctuary. In speaking with Erdene-Ochir, a prominent local businessman in the South Gobi of the enormous commitment the Veloo Foundation has in The Children of the Peak Project, an emotional cord was struck. On hearing the plight and struggles of the children and their families Erdene-Ochir displayed his kindness and generosity by personally donating this rare piece. 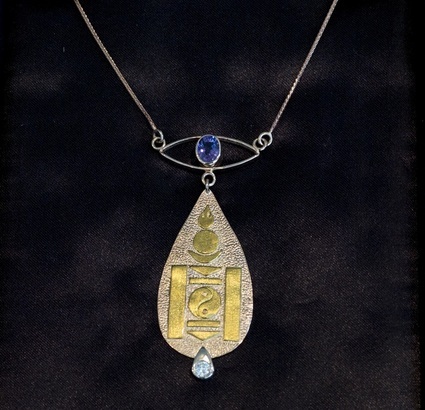 A truly one-of-a-kind work of art, meticulously and thoughtfully crafted by an anonymous Mongolian jeweller. Tiny specs of silver are delicately inlayed throughout the finely polished main body of the cow horn, which in itself displays wonderful diversity of colour. The generous silver cup at one end is complemented by the 'Tigers Eye' jewel at the other. A double-banded silver chain finishes the piece with the added advantage for hanging display. 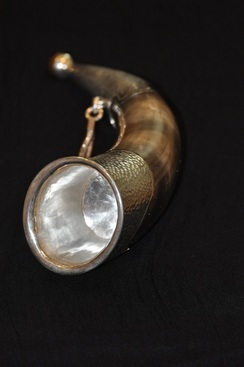 This drinking horn reflects the traditions of ancient Mongolian culture. In trying to find some history, the only possible insight may be in the brotherhood found between Temuujin (Chinggis Khan) and his friend Jamukha. Upon presenting this drinking horn Erdene-Ochir eloquently expressed the strength and importance of friendship, respect and loyalty. We can almost certainly assume that Temuujin and Jamukha once drank together in a symbolic gesture securing their bond. 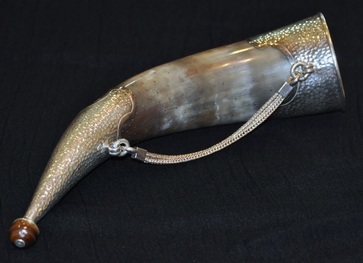 Therefore, the sacred act of sharing drink from this horn characteristically recognises the remembrance of The Great Chinggis Khan, his bond with Jamukha and the importance he placed on these qualities. situation many of our children from the Peak find themselves in. More auction items being added! Check back often!